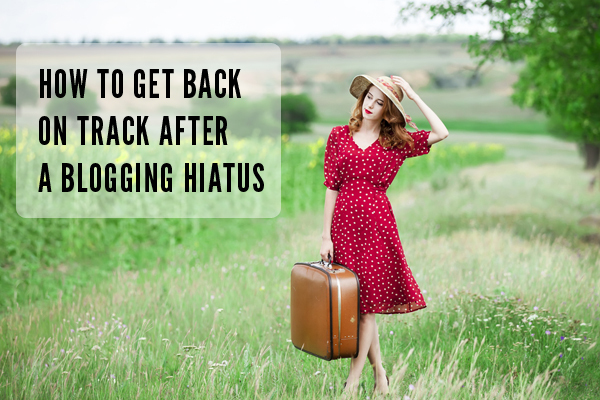 I went on a hiatus from blogging these past few weeks. I wish I could say it was because of something wonderful. 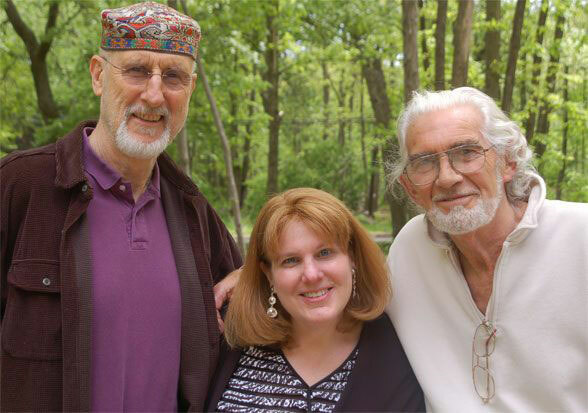 With James Cromwell and Charles Keating, two wonderful men. 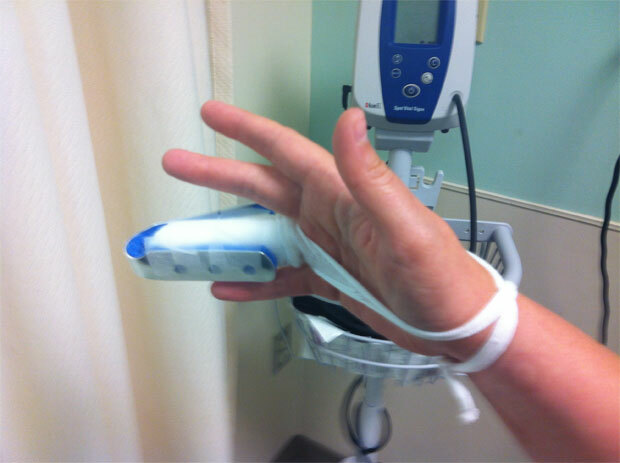 Katie’s finger, a mandoline victim, bandaged at the Emergency Room. Every Fourth of July you hear parents warn their kids not to play with fireworks. “You’ll lose a finger,” they say, similar to adults warning Ralphie about losing his eye playing with a B.B. gun in A Christmas Story. 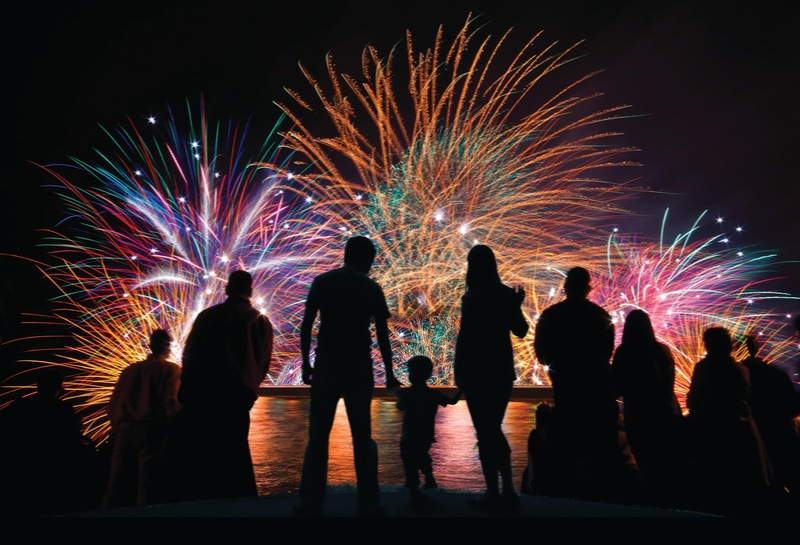 But every year more than 9,000 children and adults are injured in a fireworks accident, according to the U.S. Consumer Product Safety Commission. Did you know Connecticut was home to the Battle of the Frogs? Happy Birthday America. 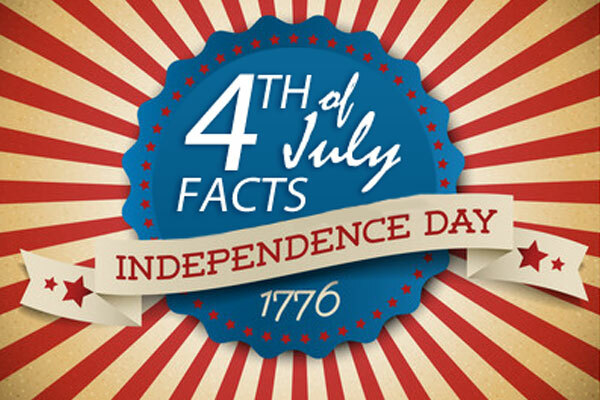 Tomorrow, at your family’s annual cookout or barbecue you can amaze everyone, and maybe win a few bets, by reeling off some little known past and present facts about the 13 original colonies. Hobbes has found a home. 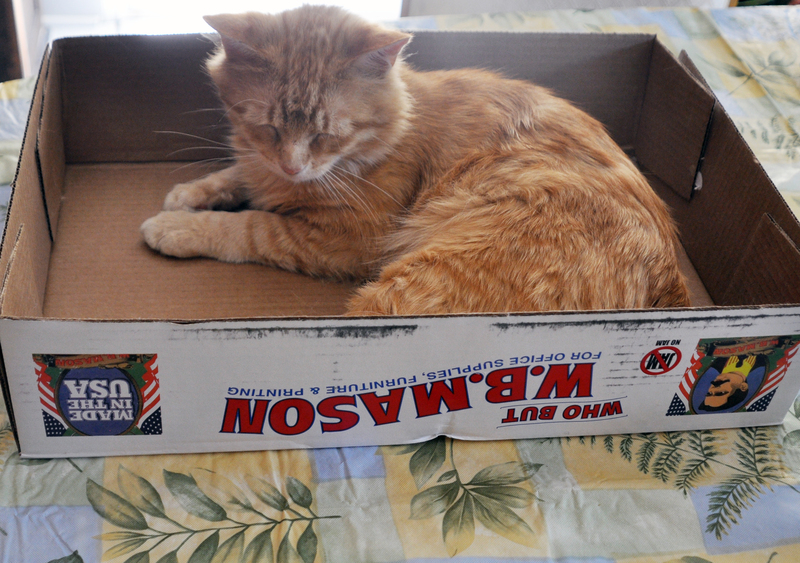 After just four weeks, the Hobbes Experiment is over and the results are in. 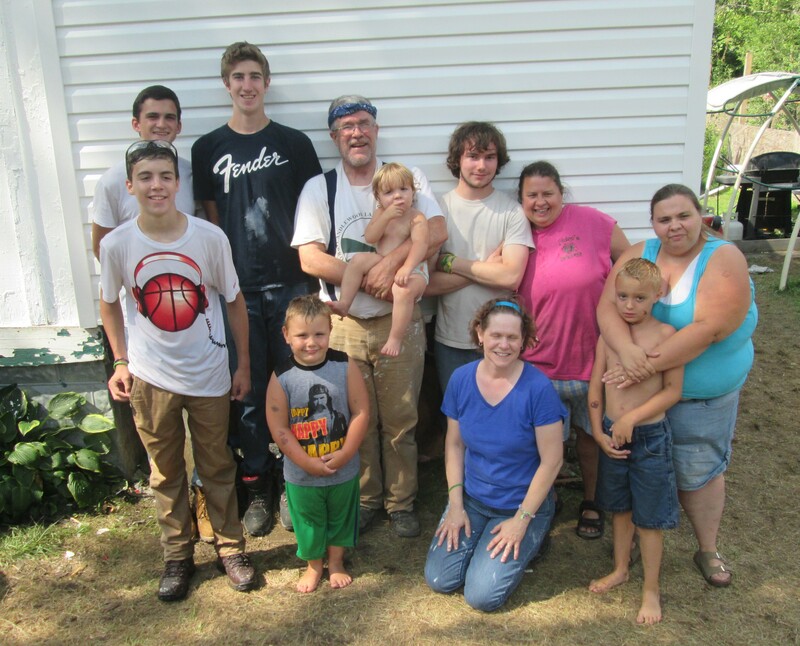 Hobbes, a feral cat who was wandering the streets of Bridgeport last month, has found a home. 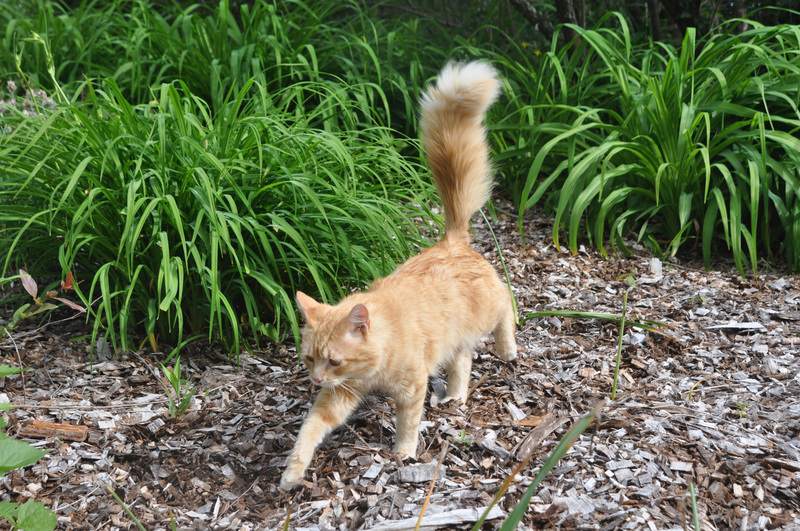 Hobbes flaunts his plumage during his first stroll in our backyard. You can take the cat in from the outdoors, but you can’t take the outdoors out of the cat. That’s my convoluted way of saying that during week three of the Hobbes experiment, we let him outside.